Says who the big moves are over, but Jenkins, Mack, and Scott could be on the trash. Jenkins is already gone, but I agree. Especially the way Patterson can pass and I think Petteway and GRIII are better than Scott at this point. Scott is probably as good as he will ever get at this point. I understand he's a good locker-room guy, but he needs to be shitcanned. Musk can take his place. Sign GRIII and Petteway and I would be happy with this offseason. Shut your hore mouth Scott is gonna ball next season. I say cut Shelvin an open up 2 spots. 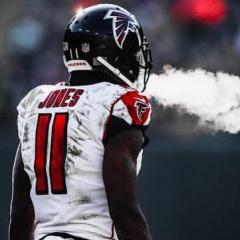 I would let Jenkins go and possibly trade Mack for future 2nd. However I agree I think they may done but you can't overlook what these guys are doing either. All of our guards and forwards have played so well that it's hard to pick between them. Petteway, Ashley, Patterson, GRIII, even Stephen Holt has been noticeably good. This has easily been the best group of prospects we've had in awhile. I said trash earlier, but I meant something else think it was trade block. Just saying we literally have 2 open spots or 3 if we do trade Mike Scott. I'm big on GR3 right now and I told y'all these others like Pettaway and Ashley have impress. In fact GR3 and Ashely could literally make the team I'm certain. Be a dog fight between Pettaway and Patterson I'm not sold on the Stephen Holt thing though. Actually honestly of all potential cuts too between Mike and Shelvin I'd rather keep Shelvin for that 3rd string PG. This should be a very competitive training camp. Right now my favorites are GR3, pettaway and Ashley. The Atlanta Hawks advanced to the Summer League semifinals with a win over the Dallas Mavericks on Saturday. The Atlanta Hawks will be involved in the "final four" for the 2015 Las Vegas Summer League. The Hawks outlasted the Dallas Mavericks by a final score of 91-83 on Saturday, and with the win, they are two victories away from a mythical championship. The first half featured staggeringly competent play on both sides when compared to other Summer League action, and that was especially true of the Hawks. Terran Petteway was the star of the show in the first 20 minutes, hitting all six of his shots on the way to 13 first-half points. He was flanked by a 12-point effort from Brandon Ashley and some strong supporting play from Lamar Patterson, Glenn Robinson III (9 points each) and Mike Muscala (6 rebounds). Defensively, Atlanta also did some strong work, especially in the second quarter. For the half, the Mavericks made only 33% of their shot attempts, and in the second quarter, that figure dwindled to just 21.7% (5-for-23). That combination of balanced offense and quality defense led the Hawks to a 46-39 advantage at the halftime break. Following the break, the Hawks kept up their strong work offensively, making 10 of 14 shots from the floor in the third quarter. Petteway eventually missed after eight straight conversions to begin the game, but that was simply a hiccup in the team's third straight 20+-point quarter. That allowed Atlanta to hold a nine-point lead heading into the fourth quarter, and that advantage would prove to be enough of a cushion. Of course, nothing is easy in Las Vegas (or something), as the Hawks built a 15-point lead that would dwindle over the course of the final period. Even in the midst of some cold shooting, Atlanta held off the charging Mavs, and a thunderous dunk from Mike Muscala proved to be the highlight of the evening. This evening featured strong performances from a handful of players, and that is wildly encouraging. Glenn Robinson III was perhaps the most effective of Atlanta's wings, finishing with 20 points on 8 of 11 shooting, and the aforementioned Terran Petteway closed with 19 points on only 11 attempts. Brandon Ashley (19 points, 6-9 FG) and Lamar Patterson (16 points, 5 assists, 4 rebounds) also reached double figures, and that balance proved critical. The Atlanta Hawks will continue their run in Las Vegas on Sunday evening, with a semifinal match-up against the San Antonio Spurs at 6:00 pm ET. Stay tuned. The Hawks take on the Spurs in the semifinals of the Las Vegas Summer League. 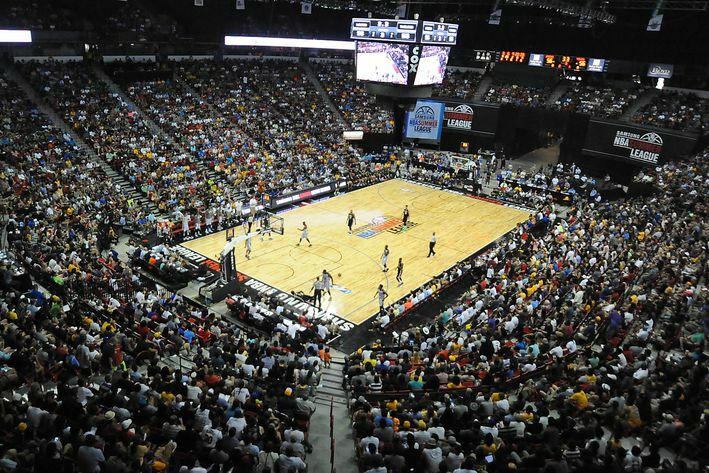 Peachtree Hoops' Brad Rowland is on the ground in Las Vegas and covering summer league up close. He will be taking over the Peachtree Hoops' Twitter account during the game but be sure to give him a follow on his personal account for all of his thoughts on Summer League. Well just pissed away a big lead with selfish shooting. Not that I necessarily blame them but Petteway, Holt and Patterson are trying to chunk their way onto the roster, could care less about winning this game. Yeah man this is an ugly shooting game. I agree guys were more inclined to showcase their skills rather than playing together. I'm down for GR3 getting that final spot. Agree. Petteway was chunking till his arm fell off these last few games. The Atlanta Hawks fought valiantly in their fourth game in five nights but ultimately ran out of gas, falling 75-68 to the San Antonio Spurs in Las Vegas Sunday. Atlanta used a strong defensive effort to build a 12-point halftime lead but got cold in the second half. The Hawks were the only semifinalist that had to play Wednesday, and as Head Coach Kenny Atkinson said afterwards, the team simply ran out of gas late. Jump shots came up short, and Atlanta turned it over 18 times in the game. Lamar Patterson led all Hawks with 16 points. Mike Muscala bounced back from a foul trouble-filled quarterfinal to record 13 points and 8 rebounds, and Glenn Robinson III added 10. Edy Tavares scored 5 points, grabbed 7 rebounds and had 2 blocks in his return to the starting lineup after suffering a right index finger laceration in the quarterfinals Saturday. Beyond just the statistics, the Hawks got a valuable look at two roster guys (Muscala and Tavares), as well as some options for training camp invites (Robinson, Patterson, Terran Petteway and Brandon Ashley) as they mull the idea of filling their final roster spot with an additional wing. Muscala seemed to make good reads with the ball all week, particularly driving and dishing to weakside shooters. Tavares took a big step defensively but still needs to work on rotating, as well as playing without fouling. The Hawks finished the Las Vegas Summer League 4-3, having made it to the semifinals. Training Camp begins Sept. 29, and it's possible a few invites will go to the guys who helped them get there. Need to have a couple of the twos play the three spot, or move a couple of them for a three. Not bad at all I can agree with Patterson and Petteway being development projects for awhile a year. Atlanta Hawks coach Kenny Atkinson was impressed with the improvement he saw in his players during summer league play. In a video on the team website, Atkinson spoke about the development of both individual players and the Hawks as a whole during their time in Las Vegas. "I thought defensively we really started to lock down," Atkinson told reporters following Atlanta's semifinal loss to San Antonio. "I thought our defense was still good. And maybe the thing I'm most proud of, how they played together, how they shared the ball." The Hawks finished summer league action with four players averaging over 10 points per game, led by Lamar Patterson at 13.1 PPG. 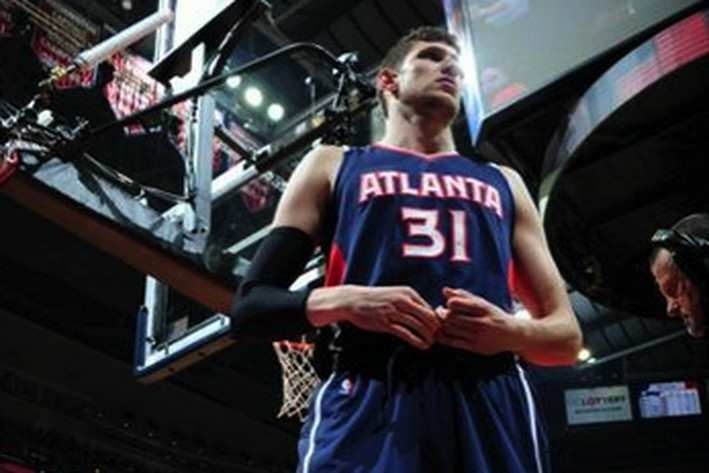 Mike Muscala led the team in rebounding with 7.3 per game, while also pitching in 9.8 PPG. Looks about right to me. I'm really looking for GR3 to be our diamond in the rough!